As soon as you know you are pregnant, please get in touch with us to book your first appointment. This is called your 'booking appointment', where you will meet one of our friendly midwives for the first time. You can also contact our maternity team directly by calling 07787 841 986. Ideally you should be seen by a midwife by the time you are 10 weeks pregnant, or as early into your pregnancy as possible. You can make your first appointment quickly and easily using any of the options below and there is no need to see your GP before getting in touch with us. If you would like to have a tour of our facilities, ask our midwives any questions you may have, and find out more about the maternity services that are available in your local borough, please come along to one of our pregnancy evenings. These are run every month in our antenatal clinics at Lewisham Hospital and Queen Elizabeth Hospital. You don't need to book a place, and everyone is welcome. Unfortunately we cannot accomodate small babies or children attending the hospital tours. We offer a full range of antenatal classes which can help to prepare for your baby's birth and learn to look after and feed your baby. They can help you to stay healthy during pregnancy, and give you confidence and information. You can learn about the different choices for labour and birth, which can help you to make your own birth plan. You will be able to discuss your plans and worries with our midwives and other parents. Classes are a good way to make friends with other parents who are expecting babies around the same time as you. These friendships often help parents through the first few months with a baby. We offer a package of three antenatal classes at Lewisham and Greenwich NHS Trust, included as part of your maternity care. These are provided by your local community midwives. Please speak to your community midwife about booking onto these. If you would like more information about the appointments you will have later on in your pregnancy, please see the antenatal care section. Midwives from Lewisham and Greenwich NHS Trust will be coming to a Mothercare near you as part of the My Mothercare Expectant Parent Events. These evenings will be a fun, friendly and supportive place for expectant parents learn more about essential baby products and key parenting topics from experts and healthcare professionals. During your pregnancy you'll be offered a range of tests,which are designed to help make your pregnancy safer, to assess the development and wellbeing of you and your baby or to screen for particular conditions. You don't have to have to agree to any test, so its important that you understand the purpose of all tests so that you can make an informed decision about whether to have them. Have you or your partner had a baby in the last 3 years? Would you like to make Lewisham and Greenwich maternity services better? 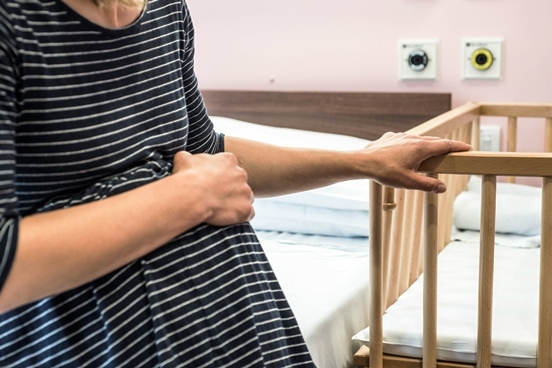 We need mums and dads to join our Maternity Voices Partnership (Formally known as Maternity Services Liaison Committee - MSLC).